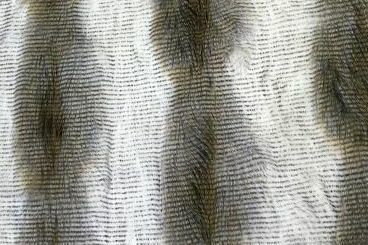 The background of this wonderful fake fur has wide dark brown stripes that sort of fade into each other. Then on top the pile is striped like a feather. Add in the fact that the pile is wispy and moves like feathers when the fabric moves.